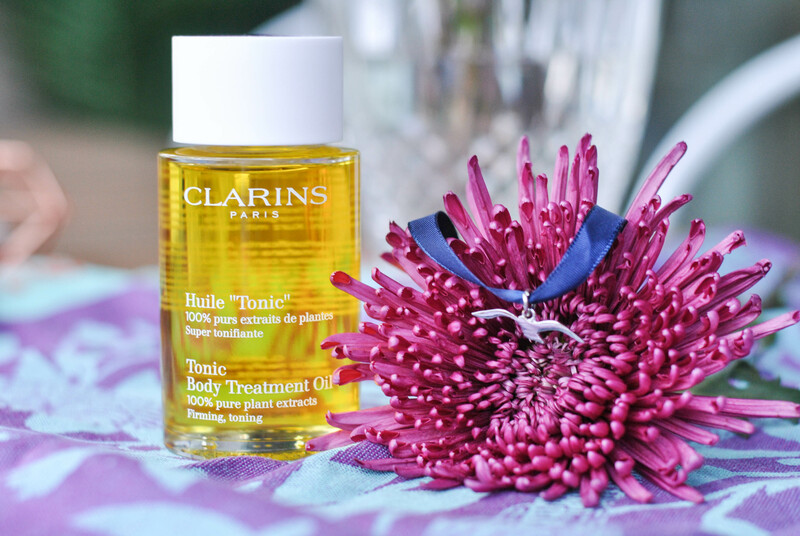 The deets: Clarins Tonic Body Oil Treatment. 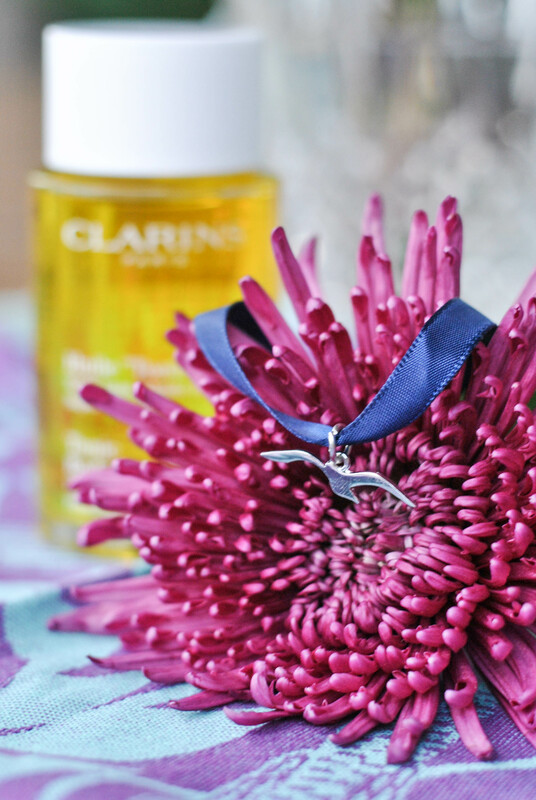 I know October is usually all about the Pink for breast cancer awareness (which is awesome) but I have discovered another beauty product from one of my absolute favorite brands that is doing some good for another cause: Arthritis. There aren't too many days left in the month but all of October, if you purchase a 3.3oz. 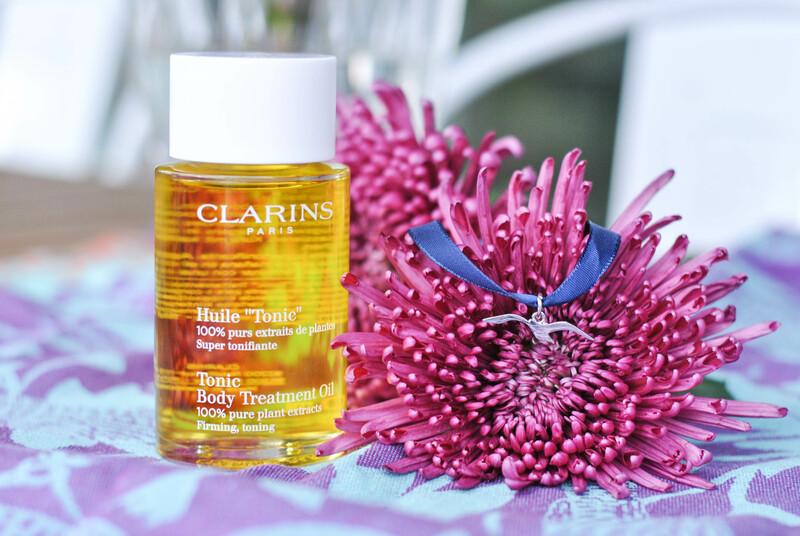 bottle of Clarins Tonic Body Treatment Oil they will make a special donation on your behalf to the Arthritis foundation and you will be gifted a pretty navy blue ribbon bracelet which is color of the fight against Arthritis. 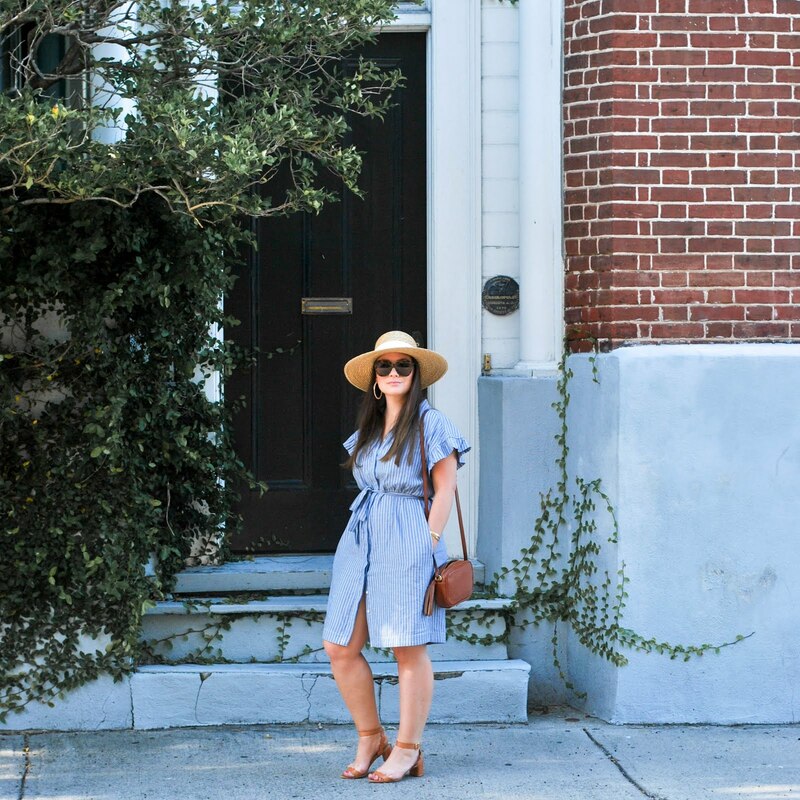 The way this all started is Jacques Courtin-Clarins, whose wife was suffering from rheumatoid polyarthritis, founded the Association for Polyarthritis Research in 1989. Today, as a tribute to their beloved mother and grand-mother, the Courtin-Clarins family supports the Fondation Arthritis (a French non-profit with the mission to advance early diagnosis, new therapeutic pathways, and restore hope for millions of patients). 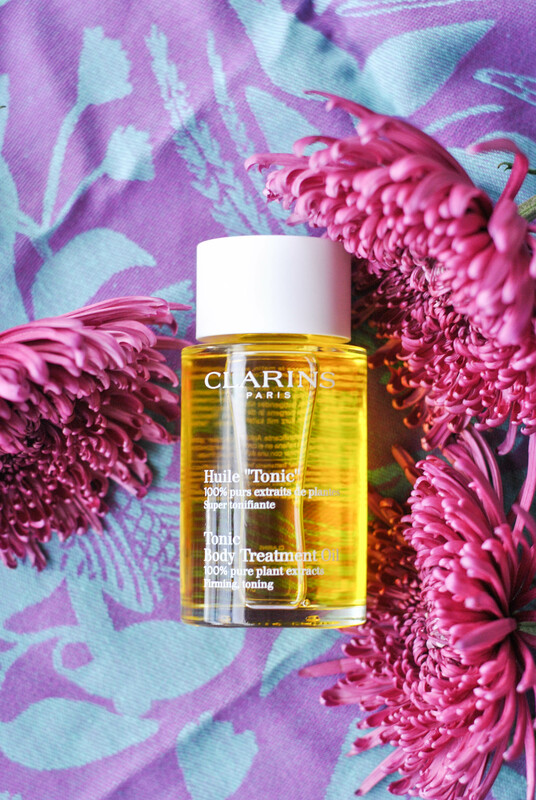 And let me tell you about the actual product because like their other skin treatments (just included one in my last beauty round up here), it's pretty great. It's made with 100% pure plant extracts, smells like bitter orange, geranium, basil and chamomile essential oils which remind me of being in a spa - soothes the senses and relaxes. It also is wonderful for the dry skin on my legs!